I'm back to blogging~ Finally i got time to blog now~ (T.T) Had been so busy for last week. What am i going to blog today? 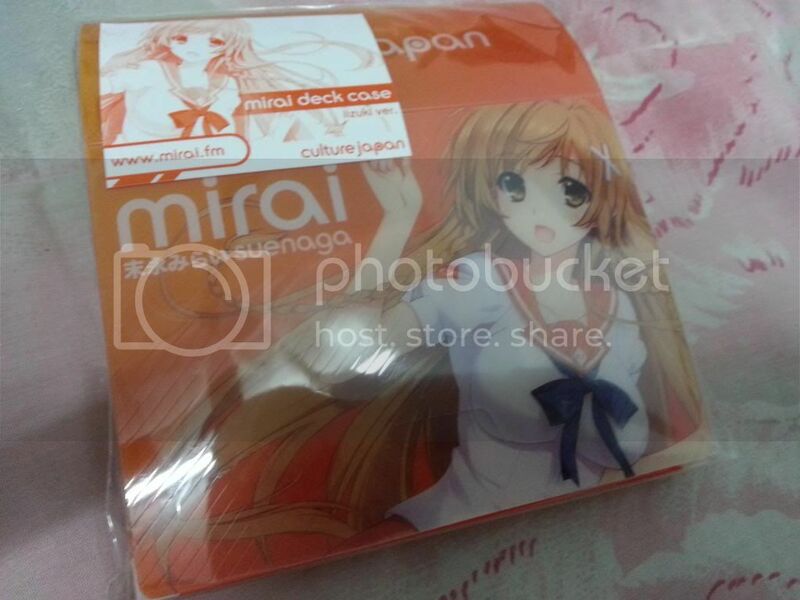 Actually there are still many blog posts pending now but i decided to post about my Mirai-chan merchandise from AFASG 2012. I admit that I'm very in love with Mirai-chan because she's so adorable. 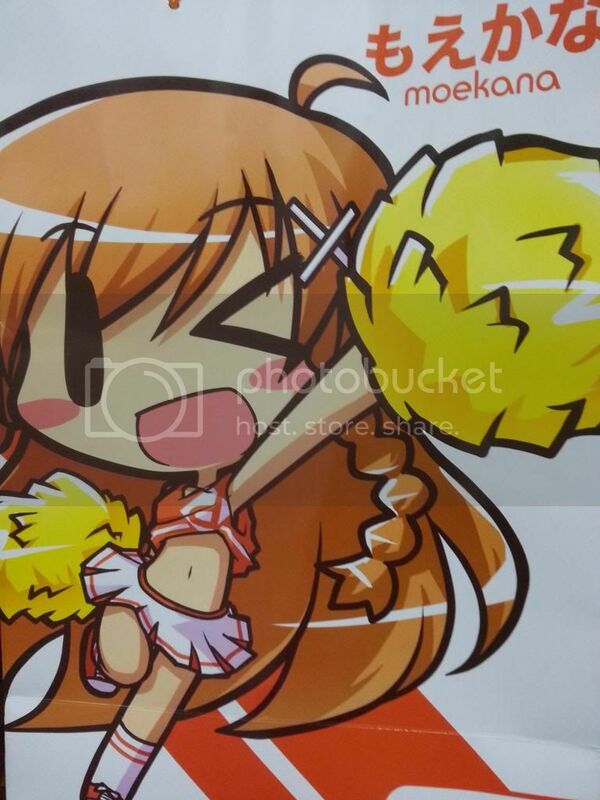 When i first saw Danny Choo post about the booth at AFASG 2012 will be selling Mirai-chan merchandise, I was like:" I definitely will buy it!". 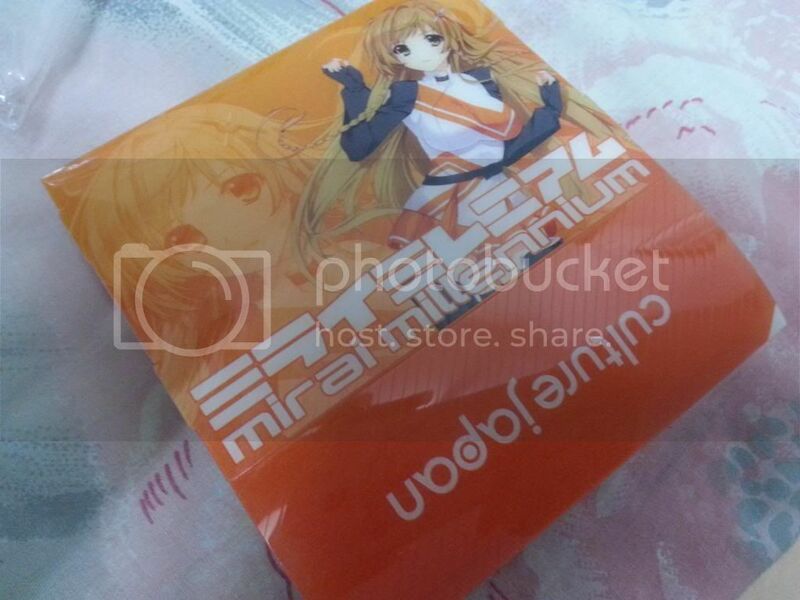 Unfortunately, i was not able to make it to AFA at Singapore this year, so I asked my friend to help me buy the Mirai Carry Case(Iizuki Ver.) 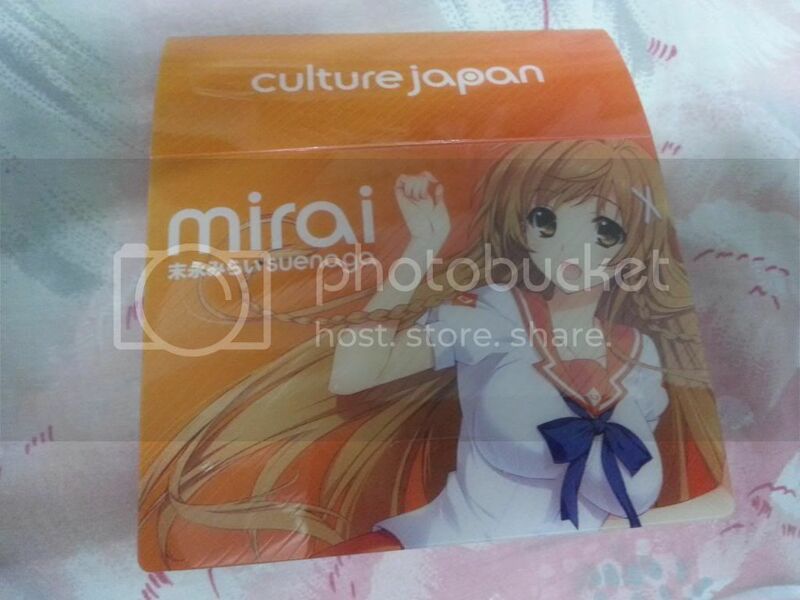 simply because i want the Free Glossy Mirai Bag~ Cute right? 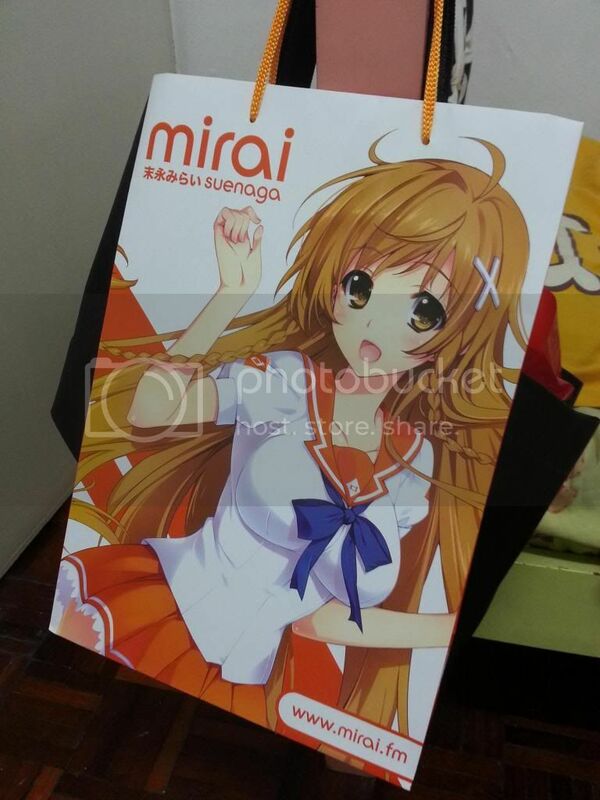 The Mirai Bag. Here's Mirai Carry Case(Iizuki Ver.) 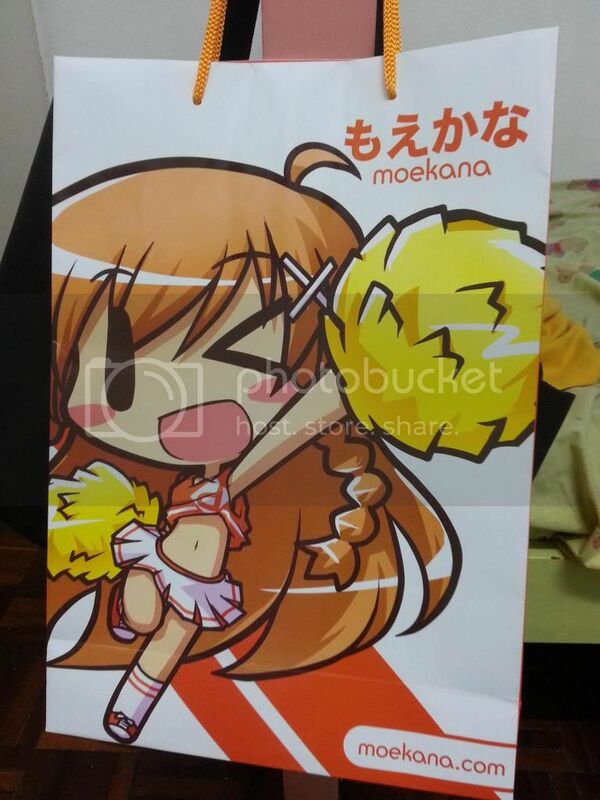 comes with free Moekana Janken set. 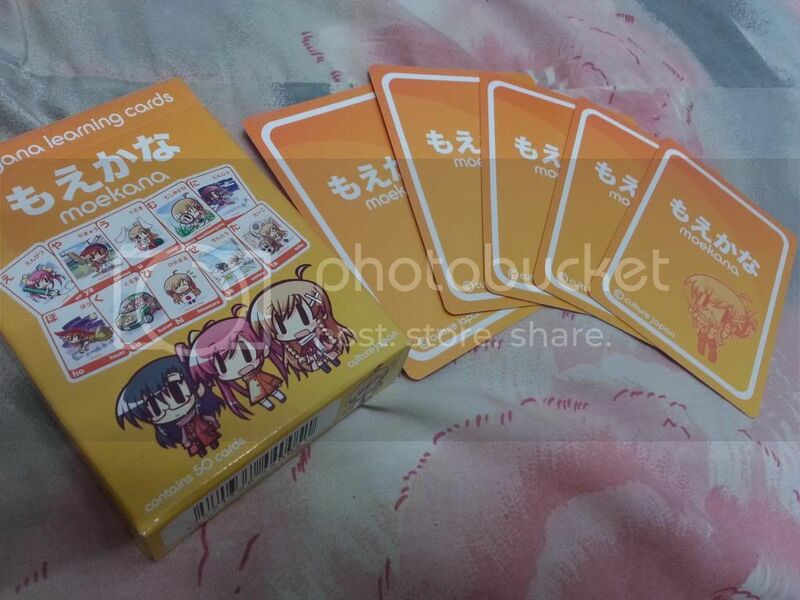 The cards was so cute and it's not included in the original Moekana set. Here's the card case after i unpacked it. 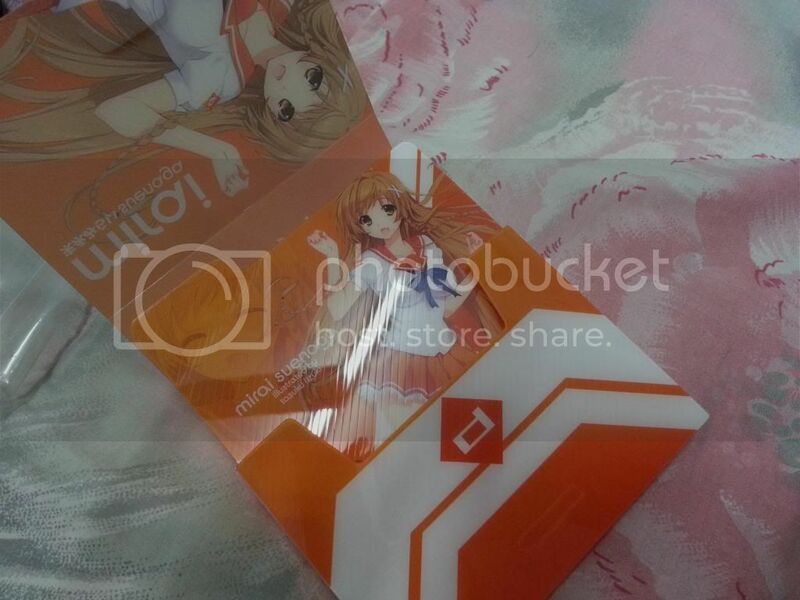 The above photos actually showed the front and back view of the card case. Actually Mirai was posing the same pose but with different costume. Now it's the time to reveal the card i got!!! Actually i got 5 cards in total thanks to my friend. 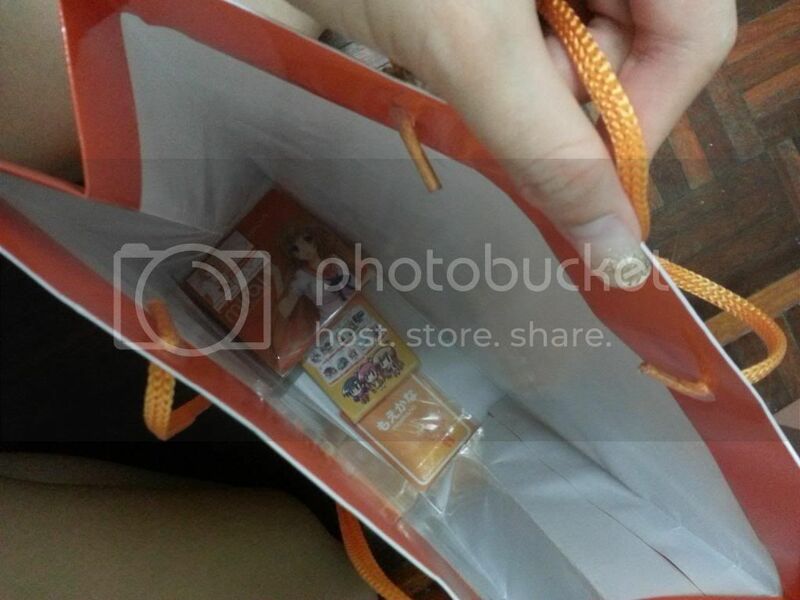 He bought one Moekana T-shirt and he got a set of Moekana couple card. He so kind and gave it to me!!! 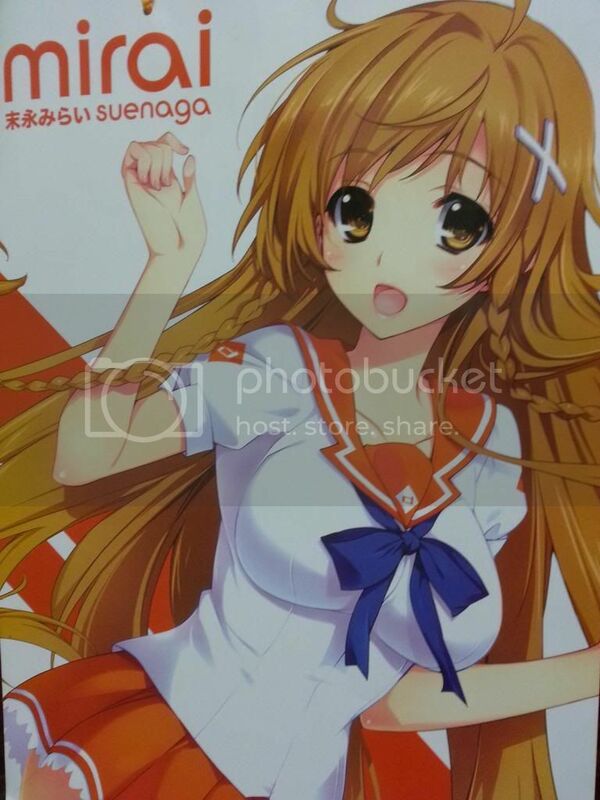 (T.T) Thank you ah~~ Not able to get the Moekana Itasha card because i didn't buy any poster. 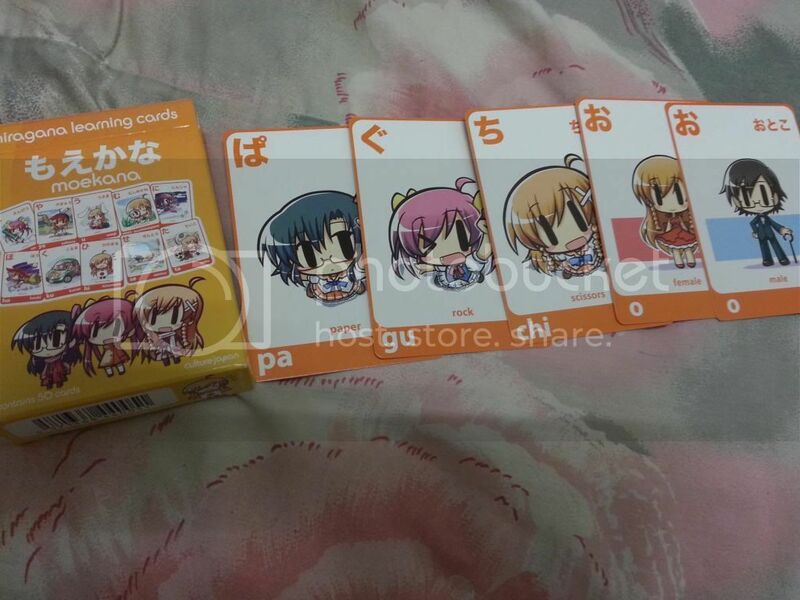 But I WILL DEFINITELY GET THE CARD DURING COMIC FIESTA! I knew it was a short update! 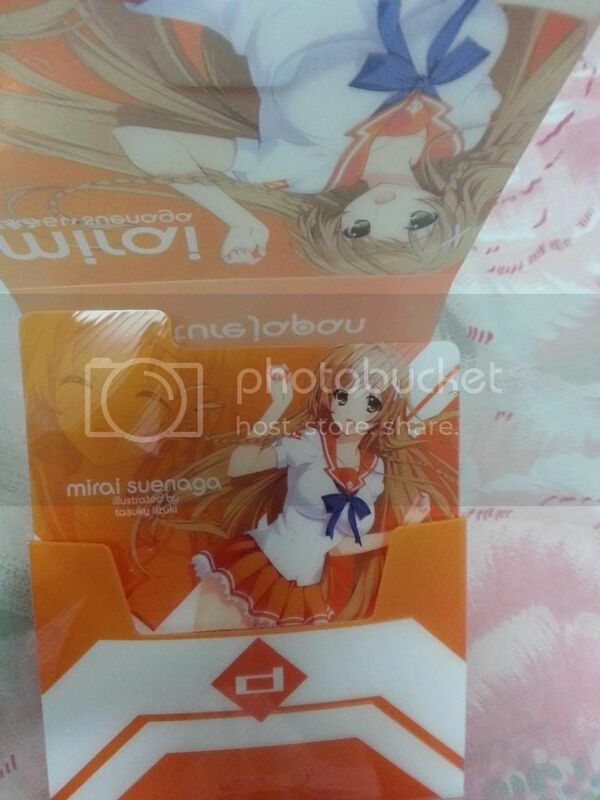 If you all like Mirai-chan, please do visit Danny Choo's booth during Comic Fiesta this year!